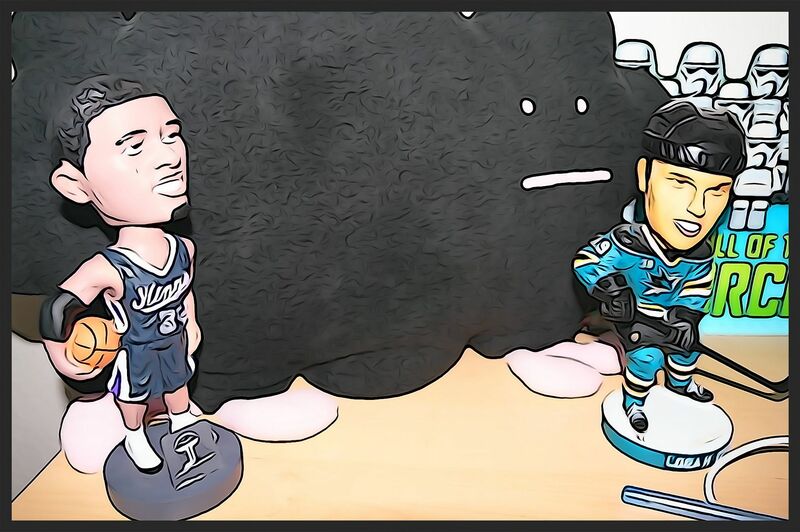 It's always fun when Upper Deck releases the second series of their mainline product. Collectors get to pursue new Young Guns, and previous sets get updated cards. Though much of the cards are similar to the first series, Upper Deck does throw in new things for collectors to find. Depending on the rookie crop, one of the two series is usually the preferred during any given year. So far this year, there are compelling rookies to be found in both series! It'll be interesting to see if that holds up over time. I won't go into too much detail about the basic set of Series Two as the cards are identical to that of the first. 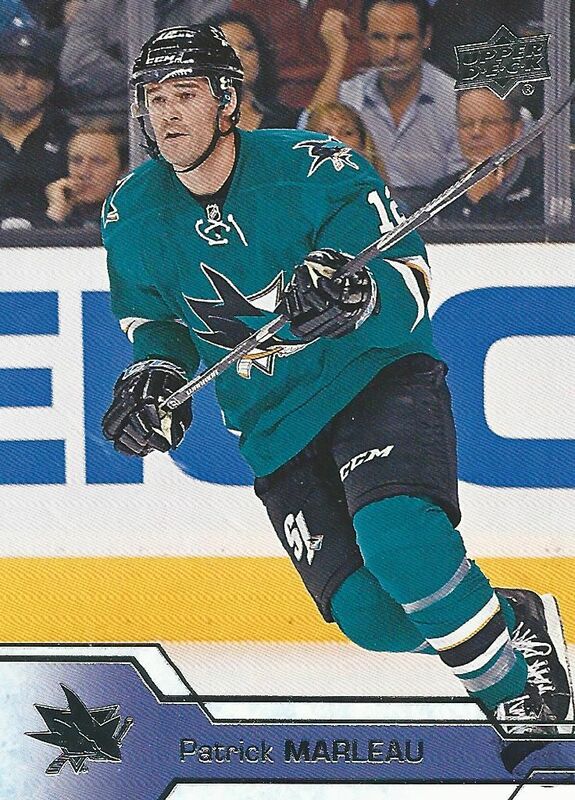 I will say, though, that looking through the cards I saw mostly just on-ice action photos. Gone were the more unique takes on the NHL season that I have seen in the past. I'm not sure why this is. Usually Upper Deck is the gold standard when it comes to photography. It's not that the pictures are bad, they are quite nice action photos... but I didn't find myself really being compelled by them. In my original score, I gave the base set a 9 out of 10. For this set, I'm knocking it down by a half point because of what I noticed in the photography on the cards. Just like in Series One, collectors will get 24 packs per hobby box of Series Two. It makes for a nice substantial break. Series Two usually has more to find inside packs as old sets are updated. In this case, collectors will find updates to the O-Pee-Chee set here. There should be all sorts of OPC goodness such as rookies, retros, and rainbows to dig up. Quite a few of the packs in the box had OPC updates. In the box I opened I was able to pull standard OPC updates as well as one foil and some retro cards. 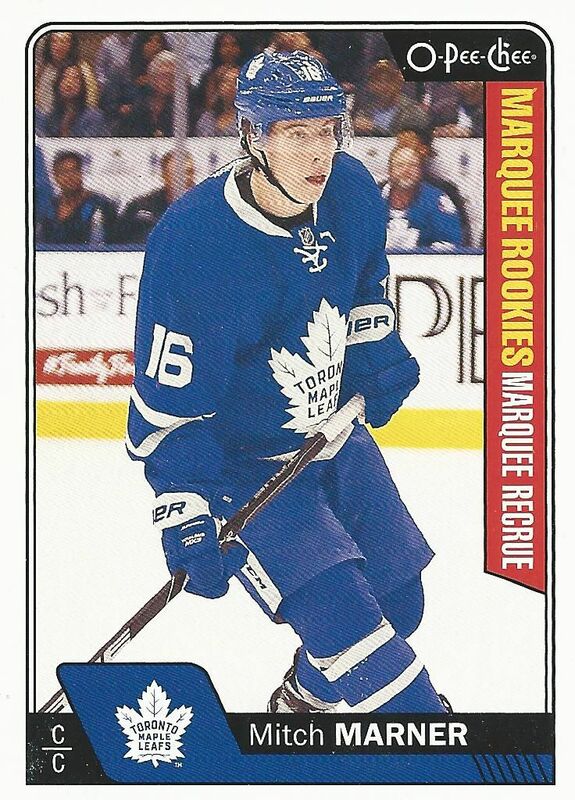 It was especially nice to find this Mitch Marner along with his true Young Gun as well. This box was certainly nice to me with finding a couple of sweet Marners within it. As with Series One, you can find the venerable UD Canvas set within the packs. Just as with the base set, I feel that these cards have a bit less flair to them than they should. I mentioned in my previous review of 16/17 Upper Deck that I felt these cards were a bit pedestrian. And I still get that same feeling as I pull them out of this second series. 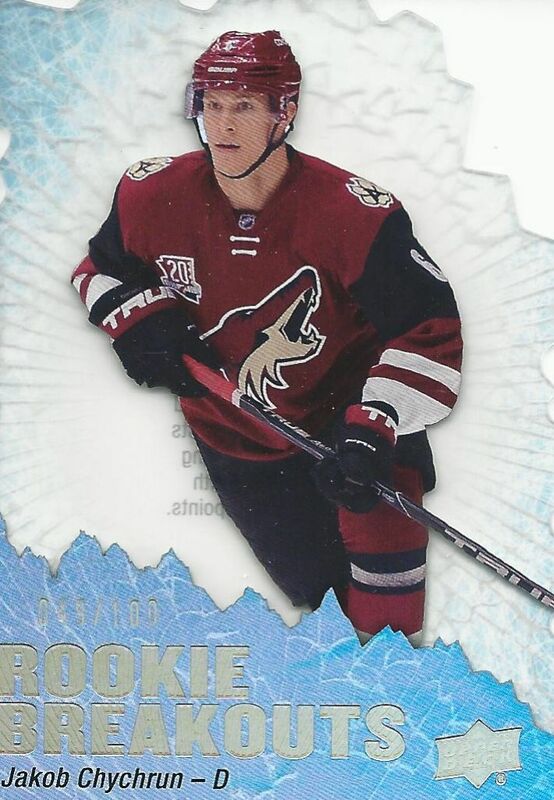 Rookie Breakouts are a exclusive to Series Two, but have been a mainstay insert within the Upper Deck series. These cards are very nice looking with a cracked acetate look and beautiful foiling. The look of these inserts are phenomenal. Each one of these are limited to just 100 each. This is probably my favorite looking card out of this set. 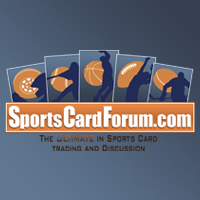 As for hits, UD Game Jersey cards once again can be found. These are enjoyable cards and is a nice little pack in for Series Two. I didn't get one, but Rookie Material cards are another jersey insert that can be found in these packs. It's really a toss up to which one you'll find in a box. 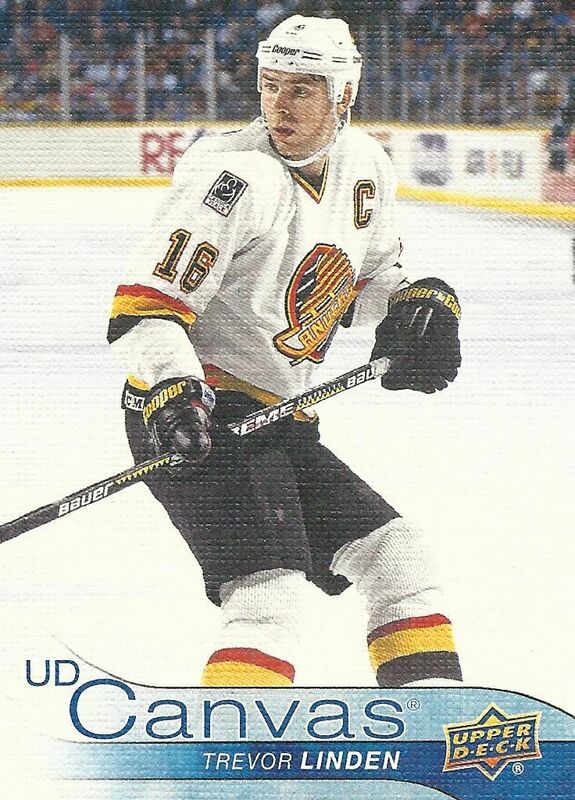 I do like, however, that the UD Game jersey card features game-worn material whereas the Rookie Material cards are most likely from a photoshoot. Series Two also continues the Upper Deck Portrait inserts as well as UD Signatures. Getting an autograph out of Series One or Two is a pretty tough proposition. They are usually case hits. In terms of getting bonus content, I like that Series Two ups the ante just a little bit. Its score gets a half point boost in comparison to Series One. This year's Series Two seems to be a pretty strong overall product with a nice selection of Young Guns to be found. Rookies from Series One can also be found in the form of OPC update cards, so pulling out some of the top rookies from the year is definitely possible. As it always is, Series Two is a must buy if you're trying to build a set of Upper Deck. Series Two really is a great addition to the first set and completes the season in a nice way. It's not hard to recommend buying Upper Deck Series Two. For the price, you can get some very nice cards and rookies. Buying Series Two is good in all of its forms - pack/blaster/box/case. 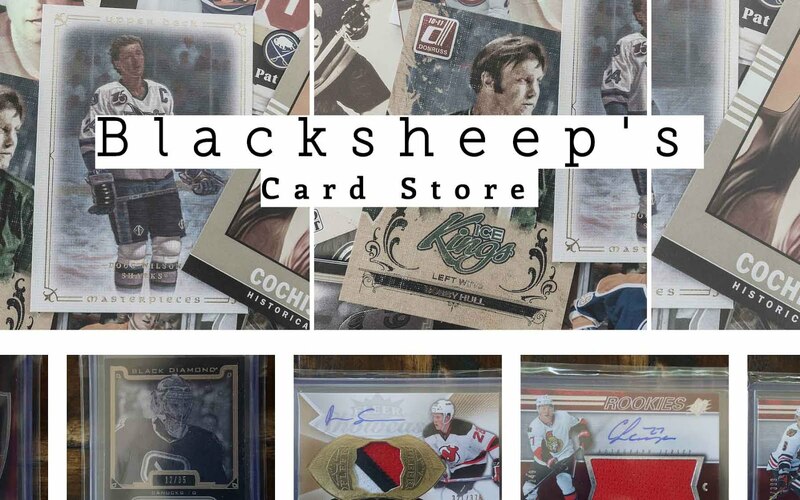 I'm sure if you're into hockey cards, you've already gotten some or are planning on getting your hands on some soon. A great review and a great break as always! this was a great box! Always have loved series 2, UD did a great job this year. Nice Marner Young Gun. Series 2 was overall a solid product. Not the best box but the Marner was the card of that box! Hoping you would pull a Laine young guns. + Great looking Rookie Breakouts set. + Decent selection of Young Guns. - I miss the more unique photos on the base cards. - A bit too many "cheap" card from OPC included, compared to regular hits and inserts. I'm from Toronto and I love that marner card! Nice review. 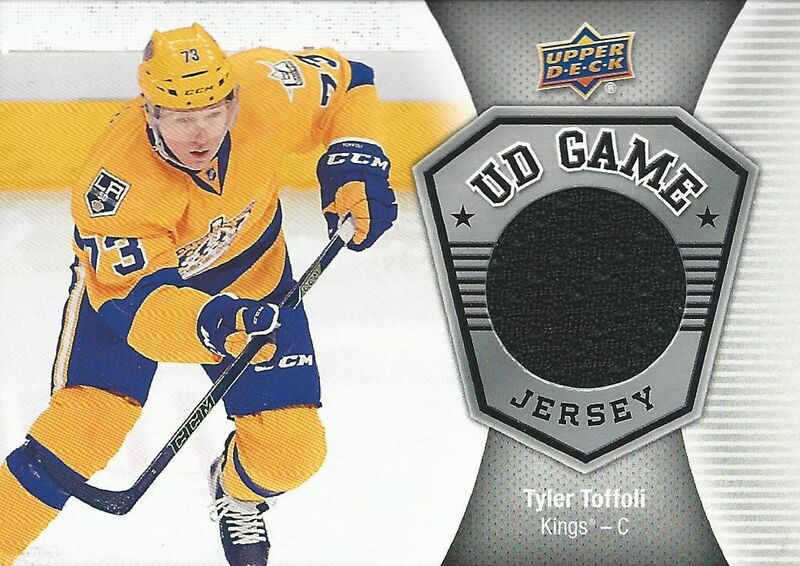 As a Kings fan I'm liking that Toffoli UD game jersey. Great Leaf's box. UD S2 always a great product as usual. Love the Linden Canvas and the Rookie Breakout of Chychrun! Nice Break getting the Marner! Looking forward to s2! Always nice to round out the season with more UD! Nice solid box. That Linden Canvas is pretty rare and nice Marner and rookie Breakouts. Great pack opening. Great pulls. That Mitch Marner one was really nice. Wondering how much the box is. I like last years design and inserts better. Nice break! And the Marners look awesome. Just bought some of series 2. Hope I have as good of luck as you! Ahoy there, I love this review compared to the previous products you did. So many good hits packed in Series 2. I'm in Canada and prices already went sky high for these boxes. If it drops for sure it will be really tempting! WOW what an awesome Leafs pack eh! Great review as always! Personally I get annoyed by 'updates' for other products appearing as inserts, seems lazy to me. Not doing 16-17 young guns until I finish 15-16! That was a Leafs hot box, or getting damn close to it. Solid overall product. Great video!